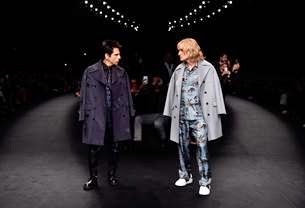 Zoolander 2 is coming, and just in case you forgot about that Ben Stiller and Owen Wilson as Derek Zoolander and Hansel walked the runway at the Valentino Fashion Show during Paris Fashion Week at Espace Ephemere Tuileries on March 10, 2015 in Paris, France. 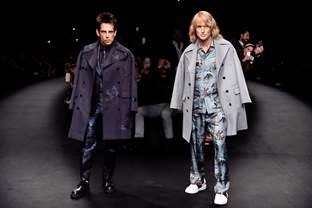 The show was no Mugato Deletict, but Stiller and Wilson strutted their stuff in style. No word on if Stiller had issues turning left, or if there was underwear removal required. Does Stiller still capture Zoolander's Blue Steel? 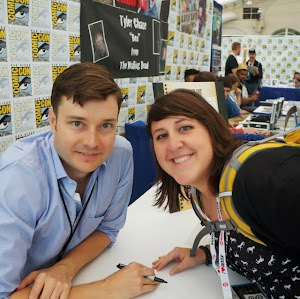 Does Wilson still have the charisma of Hansel? I think the answer is yes on both parts. But that's not all that surprising. What would be surprising, and what I really want to see for the new Zoolander is another David Bowie cameo!